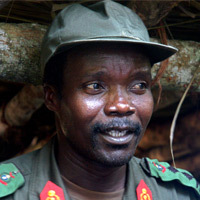 President Obama’s Lord’s Resistance Army (LRA) strategy, released in November 2010, outlines a comprehensive approach to stop atrocities perpetrated by the LRA and help affected communities rebuild. However, serious concerns remain about whether he is willing to dedicate the funding, senior leadership and political will to achieve a lasting end to the conflict. Issue #1 grades the content and initial rollout of President Obama’s LRA strategy, while future report cards will assess the strategy’s implementation and impact on the ground.